The majority of owners of small and medium-sized companies are able to manage the public affairs of their companies, but when it comes to technical aspects, most of them flop and have a tremendous amount of nagging questions coming to their minds! And of those technical aspects which represent one of the cornerstones of the company is ”networking”, and I do not mean by that your social network related to the company :)But I mean the backbone that connects all the existing devices in the office. The backbone without which no individual in the group would be able to perform his work as he should, as it links everyone together to form a single entity where information could be exchanged easily and smoothly and the most important thing about this is the speed and time-saving.And instead of relying on network engineers to carry out that task, why don’t you learn the necessary steps to do it yourself which is, in fact, extremely easy, especially if you purchase modern equipment. The following explanation includes a comprehensive points starting from the construction of the walls and the ceilings of the office and reaching to printing papers and transferring files. We divide the discussion into the following sections:Note: You must read each line within this article due to the fact that all the parts are linked, and that the article is also suitable for the establishment of a small network at home. Do you need a VOIP phone in the company’s office? What is the meaning of the term ”Local Area Network”? 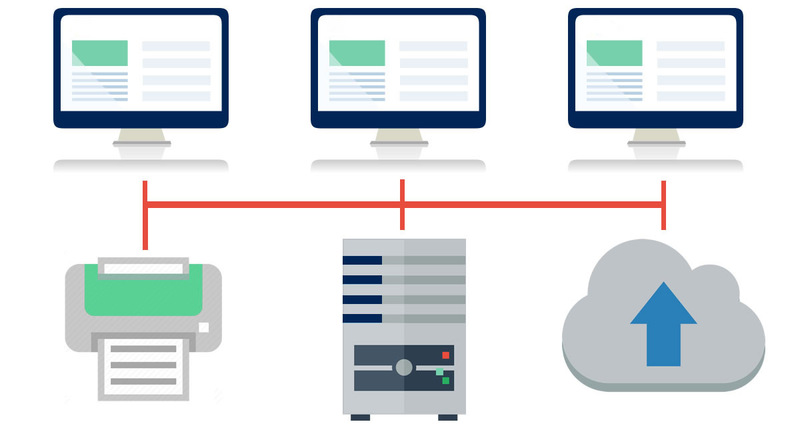 In it’s simplest form, a local network is an arrangement or matrix of different computers and its peripherals such as printers that are connected together. This interconnectivity allows all of the devices to share and have access to the same resources shared in this network. This matrix of connected devices is called a Local Area Network – or LAN for short. What is the advantage of installing a local network in your office or company? You will have great advantage of course. 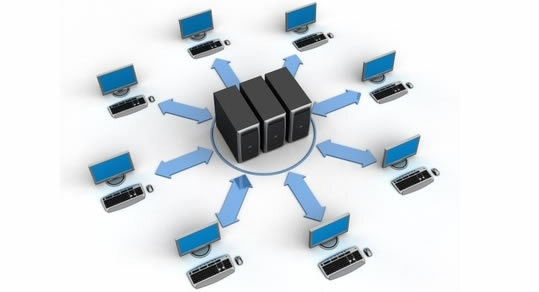 By Setting up a small business computer network you will gain a lot of advantages such as: costs will be decreased and workflow efficiency will increase by allowing workers to share common resources and devices; such as broadband Internet, printers, files, documents and file storage resources such as NAS. Which is better: Wired or Wireless LAN? At first, it should be pointed out that connecting or linking each device to your LAN (Local Area Network) is accomplished by employing a transport medium to send and receive packets of data between devices, and what it is meant by transport medium is either wired (Ethernet), wireless or a combination of the two.Connecting the devices together requires a cables of the category 5 (Cat-5e) or category 6 (Cat-6/a) or category 7 (Cat-7). The differences between these categories and the advantages of using each category will be explained below. On the other hand, a wireless medium employs a wireless signal and needs no cables.It is generally a better choice to run cable (Ethernet) rather than to use wireless. Ethernet is more reliable and efficient. A wired connection rarely suffers from data loss and random outages. Wireless on the other hand is prone to interference and attenuation (reduction in signal strength). 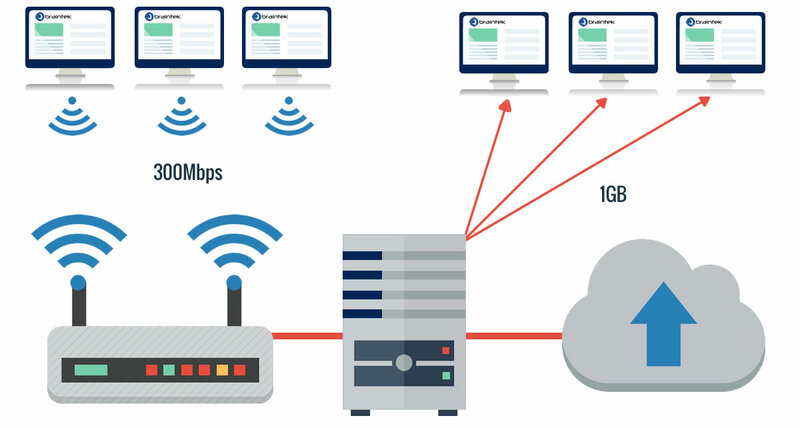 Furthermore, wired connections can operate at higher speeds compared to wireless connections since wired connections speed ranges from 10/100 Mbps to 1 Gbps for each device and can even exceed that to reach to 10 Gbps if a gigabit switch is used, whereas a wireless router operates at roughly 300 to 500 Mbps depending on interference and distance.On the other hand, using wireless connections allows you to reach more devices such as cameras, laptops, and many other devices. This means that combining the two types (wired and wireless) is the best solution. 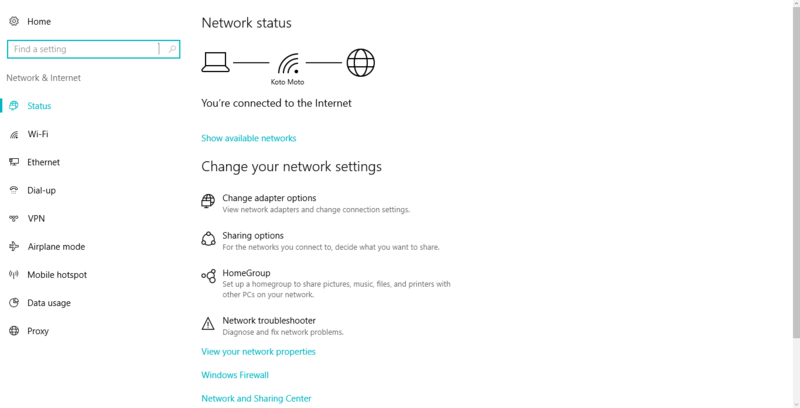 Do I need internet connection to establish and intra network? No, since you can connect the devices together without the need to an active internet connection. All that you need to connect is cables and wireless. What internet speed is required to do the work correctly? Time set to finish the work. The greater the speed, the less time required to download those files. Take for example someone who has 30 employees in his office dealing daily with small size documentary format files in addition to some simple and specific websites. The speed required for this case would be 1 MB or 2 MB to each computer, compared with someone else who has the same number of employees, but his company specializes in the field of design and large-sized files and sites with high-quality images which would require him to provide a speed of 4 MB at least for each computer.And those speeds are only for Arabic countries with lack of internet capabilities. For more technologically advanced countries, these speeds are considered primitive!In general, internet speed is determined based on the amount of work and data passing through the internet. On the other hand, intranet speeds reach 1 Gbps. What are the types and sizes of networks suitable for Small and Medium-sized Enterprise (SME)? A LAN (local area network) is a group of computers and network devices connected together inside the company without the need for internet connection, and is usually within the same building. These devices are connected together either by using a Switch and some cables or by a wireless connection. There is also another technique called MPLS used to establish an intranet, but it needs a network technician in order to create it.And that type of networks is used to cover a limited area only. A company, university or home building would be some examples of such networks. It is of the same characteristics of the previous type but requires the availability of fast internet connection to the outside world which means it also needs a router. 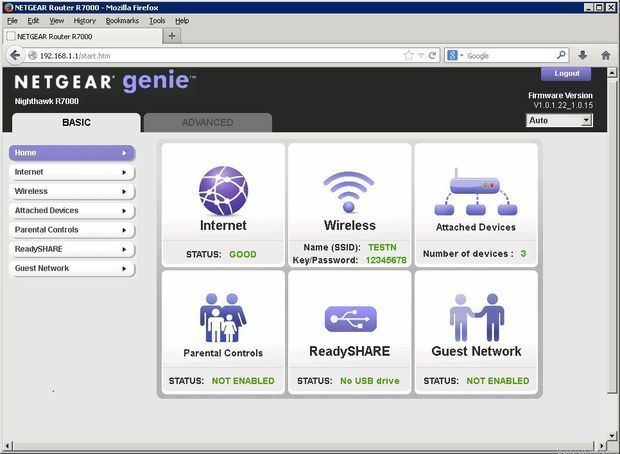 It has the ability to connect the company’s devices to another company in another location. 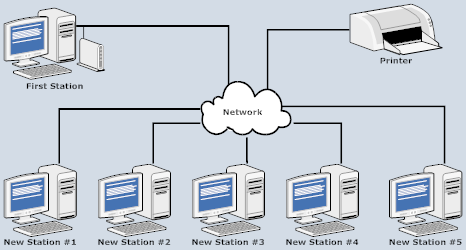 A basic network suitable for a small company with five computers, might simply link the five computers wirelessly without a central server. 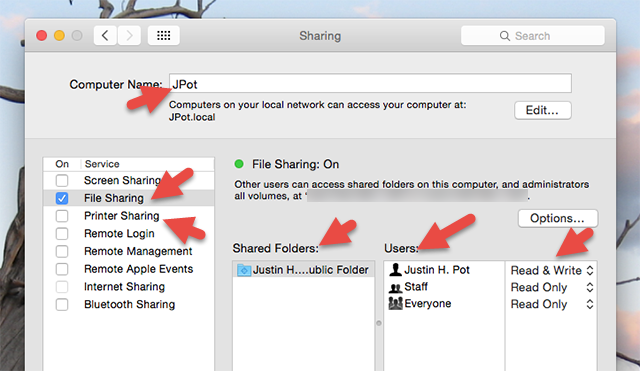 This would enable everyone to use the internet and shared files. You could set up a network like this for 130$ or less. Might consist of 15 computers connected together by cables. And it depends on entry level server to share files and create shared files storage and allow important files to be safely backed up. In addition, there is also the probability of a simple, centralised customer database. A network like this could cost around $2,600. Might include 30 computers and a powerful server, connected by cables. The server mentioned would enable the company to run its own intranet, customer relationship management system and collaboration software and a number of shared printers and add to that a wireless access offered in common areas and meeting rooms.And to establish an Advanced Network for Medium-Sized companies, you will need to spent 6500 $ or even more.And remember that there are always alternatives to reduce the budget. All of it will be clear once you fully read the article. Does the use of Cloud Computing Services save a lot of expenses? You will no longer worry about the periodic maintenance of the server and all the problems related to it. Low cost that fits the limited budget of a small business especially in its early stages. Great flexibility in terms of the ability to expand in resources and to adapt to the developments of work. Gives an easy control and management of the staff. Easily moving from one platform to the another, or to cancel the contract or dissolute the company at any time. There are many other platforms that provides you with the necessary force to finish the work efficiently instead of buying a server to do so and we will have another chance to talk about this point. Do I need to buy a server for my company? Yes and no at the same time! The answer is constrained by the conditions met in your company, including the number of employees, how many tasks needed to complete the work, number of customers as well as other factors. And in order not to get crazy  Here is an article that gives you the full answer about the importance of buying server for small and medium businesses and when to do it.In general, if the number of employees ranging from 15 to 50/30 employee, then you need to use a server without the slightest doubt, but if the company has only 10 employees, then you can form a network and rely on a storage unit NAS in the case of the need for a shared storage unit just across the network. but sometimes, you may need to use a server even though the number of employees does not exceed 10, and this is usually the case when you need to address the huge processing power needed to finish a huge work such as the montaging and production of a video for example.And therefore, you should answer the questions in the following point to reach an informed decision, and my advice to you is to buy the server if the budget permits, as the cost of basic specifications server is only $ 500 or less and by that you will even save a lot of money. please do not forget to read the article mentioned at the top. One of the very important steps in the planning process to create a network is to determine the quality of the tasks required and the nature of the company’s work as well in order to investigate the accuracy and draw up a list of properties to be achieved in the network, and by answering the following questions everything will become more clear to you. What type of business is this?As an example to answer this question, I need a Network configurations for a business performing basic sales and administrative tasks and only needing access to relatively small files such as documents or pictures.The type of work above is quite a bit different than another company in which the workflow consists of video production, graphic design or CAD design work. What types of files and how much storage will you be needing to store for employees and staff to be able to access? Does the work requires an Internet connection? How much of a budget has been allocated to your network setup? Who is responsible for the management and maintenance of the network after its establishment?Will you do it? Or will you be hiring a full-time network engineer? Or will you be depending on outsourcer IT company to provide you with the required support once needed. To what extent you will be available in the company to monitor the progress of work and back up files? And what is your strategy to deal with any data loss? 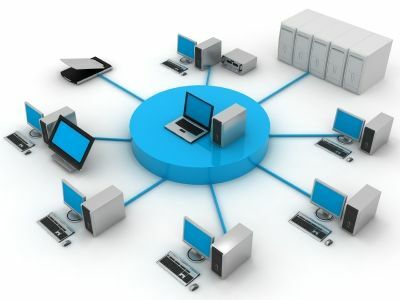 Before we mention the required equipment, it should be known that the office network consists of a combination of equipment (hardware) and some programs (software) to control and regulate the connection to reach the desired configuration. equipments may differ between depending on whether you will be using wired or wireless technologies, but in general, there is a basic list of equipment that is used in all networks.And we will explain each piece, to move immediately afterward to the practical implementation starting by the creation of the place for cables and reaching to network management. the reason that that led us to mention the tools first is to give you a better understanding about the best planning during the preparations of the company’s office, and thus, please read the next stage and then reference them again after the creation of the office. 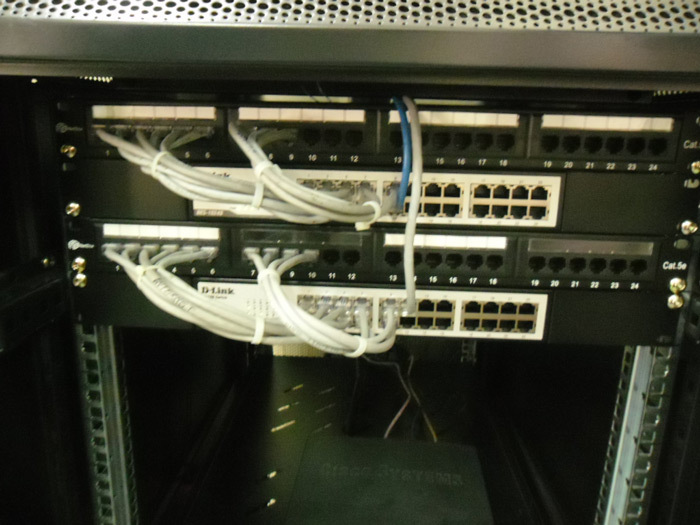 If the number of network devices does not exceed 5 then you can ignore the parts of this article related to the Switch and the Patch Panel and immediately skip to the router and the rest of this topic, but if the number of devices increased to 10 then you will need a Switch, and if the number exceeded that, then you will need a Patch Panel. 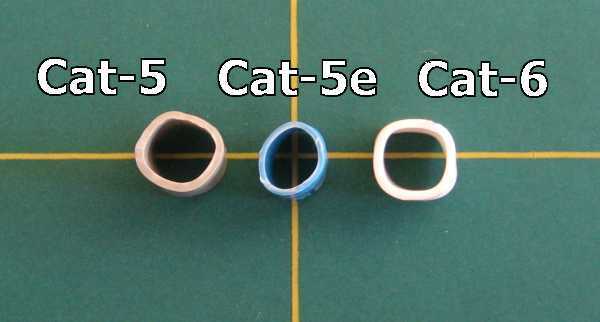 Category Cat5e or Cat6e. 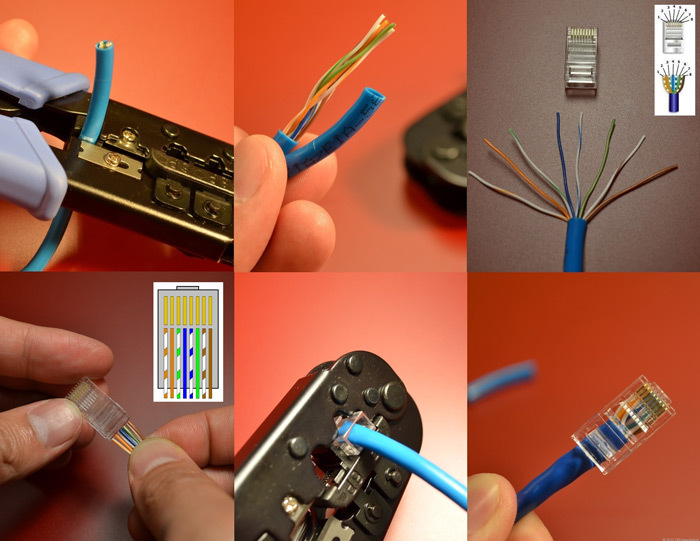 Here you will find a detailed comparison that shows the differences between these types of network cables. There are two types that has not been mentioned and they are ” Cat-3 and Cat-4 ” because they lack the ability to go along with current developments and the large sizes of data as well as the desired speed, and so it was replaced by the newer version “Cat-5 ” which joined them in the field of connecting wire landline phone after a while, but now, a new category has been issued under the name Cat-5e to become essentially the main type used in networks. And development continued to find at our hands the category Cat-6, which was then improved to reach Cat-6a, and by returning to the table you will not find any noticeable differences between them except in the capacity of each of them of reaching to much further distance through the speed of 10 Gb/s, and I advise you buy cables Cat-6a at the moment because it is a middle choice between the Cat-6 and Cat7 categories, or you can rely on a lower category based on your needs.Note: The latest versions available now are the Cat-7 and Cat-7a which both are of the type ScTP. 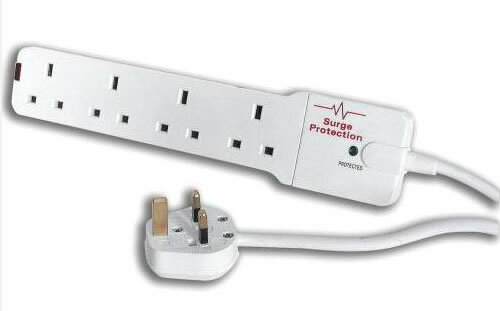 these two types were not mentioned here before because they are not provided in some Arab countries as well as their higher cost compared to other types.What really distinguishes them is that they provide the best protection for internal wiring since every pair is covered by aluminum slices. This also increases the frequency to 600, which in turn leads to a reduction in Crosstalk rate and the noise. The latter type (7a) is able to withstand speeds of 40 GB for a distance of only 55 meters. It is worth mentioning that the solution to the problem of slow Internet in some Arab countries is wires, since you can change the Internet cable at home and the landline phone cable coming from the cabinet to the types Cat-7 or Cat-6a and you’ll get a full-speed, but such method is useful for large speeds, such as 20 mega and above. You will not find many people aware of the following piece of information, which is that the latest categories of wires are the best in terms of the ability to protect data packages from the surrounding magnetic waves through the formation of a protection field resulting from winding wire pairs around each other as shown in the previous image, and as an example, the type Cat-5e number of coils is 1.5 to 2 per cm, while the Cat-6 exceeds 2 coils per cm. 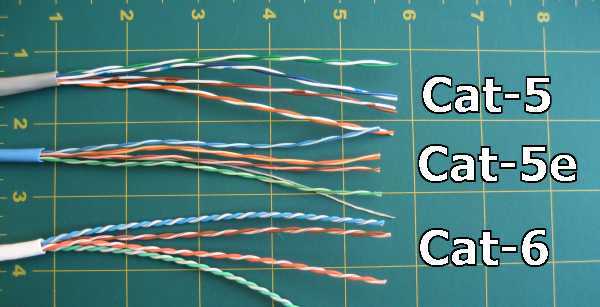 Type Cat-5e is the best in terms of the plastic cover protecting the “blue” wires which is made of nylon chips that is also working on reducing the level of vibrations, unlike the categories Cat-5 and Cat-6, which rely on the traditional nylon. 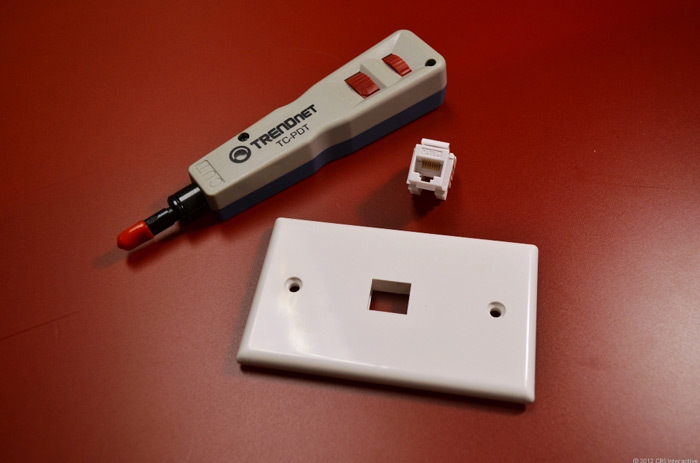 “Jack RJ-45”, in addition to the internet wall plugs which consists of two parts. The first part is the “Wall Plates or Face plate” and the second part is called node or keystone. It is worth mentioning that there is a difference in RJ-45 Jacks and nodes between category Cat-5e and Cat-6, as shown in the picture. What is the appropriate cable category for me? Simply put, your first choice is a Cat-5e as it is suitable for networks excellently, especially the ones that need to be adjusted continuously. The Cat-6a is the best in terms of performance because of the high frequency and in particular to the speed 1 Gb/s. The Cat-7e is the best in the case you want to establish a network in which the length of one wire exceeds 100 meters. And in the end, the cost is the ruler, as the cost of a Cat-6a is 20% more than Cat-5e.And often you would choose between Cat-6a and Cat-5e, because Cat-7a wires need the Jack GG-45 type and not the RJ-45. Simply put, it is a plate-like control panel similar to the Switch in terms of shape, but in terms of function it is working to organize all the wires to make it easier to find one tip of the wire later on. “one end is in the wall, and the other is connected without Jack to the Patch Panel”. The number of ports could reach 48 per one panel. 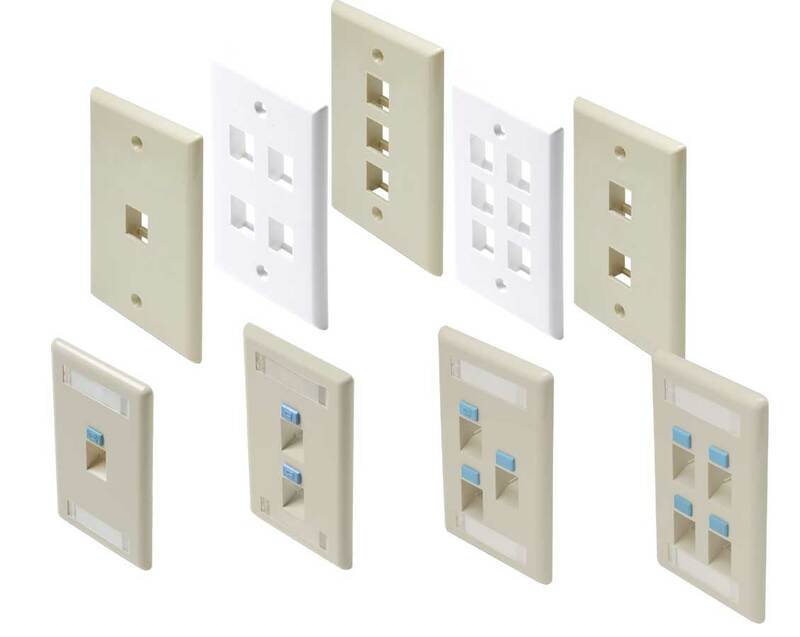 The Patch Panels comes in different shapes and you will not find a standard shape, and all perform the same function but the difference is how to organize it in the best available way.Take the following picture as an example, which fits small-sized networks since it is organized and extremely easy to use, and has 8 ports only. Larger networks requires larger panels in which the number of ports could reach to 48. Looking to the previous picture, it is clear that there is a specific panel to each cable category. There is a special panel type for category Cat-5e and another for category Cat-6, which is something you should pay an extreme attention to when you buying. Is it necessary to provide Patch Panel in the network? 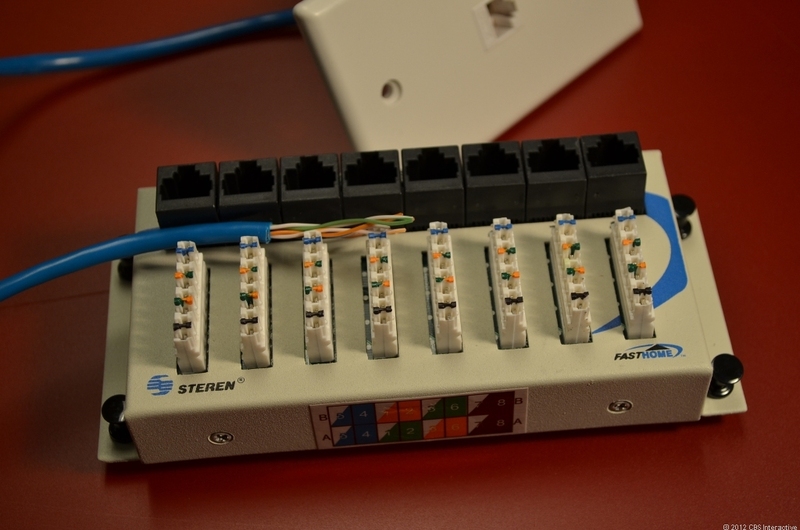 No and Yes, since you can rely on the router only, or the router and the Switch If the number of cables does not exceed 10, but the answer will be yes in the case of a large number of cables exceeding 10, and thus you will need a tool for organizing that amount of wires in addition to the flexibility the Patch Panel will provide you for better management of wires.Once you decide to buy a Patch Panel, you should also have a router and a switch next to it or one of them depending on the type of network ” internal-only or connected to the Internet”. Wired or wireless. The best solution is to buy a router that contains both types of communication and a strong performance. By reading this article you can reach a good choice as you can learn about a good router and how to choose the right type for you, especially if you have a small number of employees in your company. 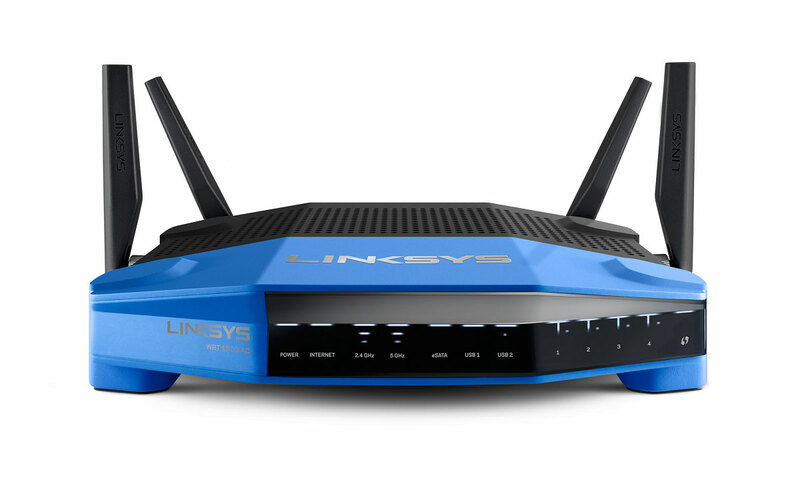 And to make it easier for you, we advice you to rely on Linksys WRT AC1900 Smart Wi-Fi Router which is a good choice, and also has a strong performance. In short, it is the beating heart of the network through which all the data are exchanged and delivered to the correct place since it works as an intermediary between the internet connection coming from the router and the Patch Panel that works on the distribution of Internet wires. as analogy, you can imagine the switch as a Traffic Policeman, and just by connecting a single port to the router, all other ports will be active, giving you a 23 port, or you can connect 10 devices to the Switch to create a network between these devices without the need for an Internet connection.And for more clarification, the benefit of the Patch Panel lies in knowing exactly the location of both ends of a wire accurately in order to remove it or change it later on for example, especially if the number of wires reaches up to 50. But for 10 or 20 wires, you can rely on a Switch without any problem, and this is the difference between them. 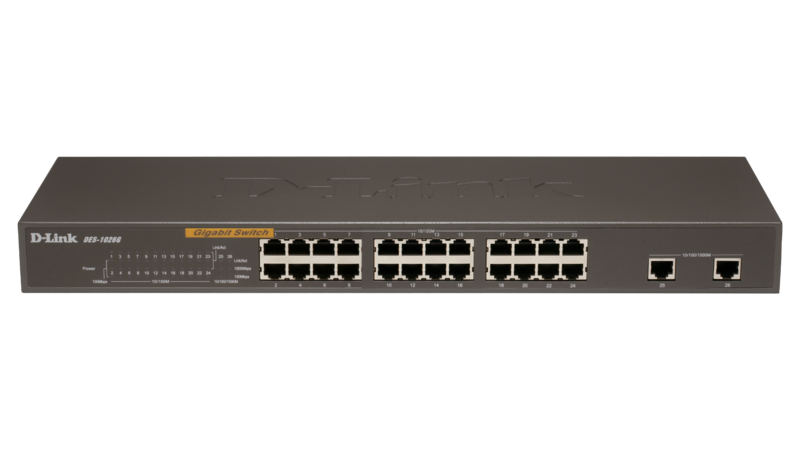 Here’s an example of a Switch, and in the picture, we can find that the brand name is “D-link” with a 24 ports “22 of them are at speeds 10/100 MB/s and the two in the right are at speeds of 1 Gb/s”, and there are other excellent companies for manufacturing the Switches such as Cisco and 3com. What is the difference between a router and a Switch? Is it necessary to have both of them? Very briefly, the router combines the characteristics of three layers of network features “L3” while the Switch combines only the characteristics of two layers “L2”, which means that the router has the properties of a Switch by the additional ports it has. 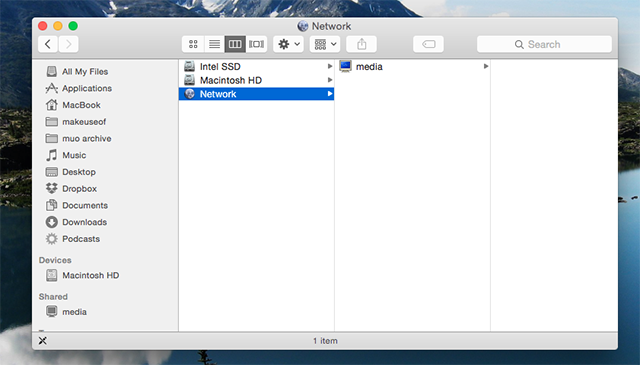 And therefore you can manage without the purchase of a Switch if the number of ports in the router is enough for you. And there are advanced types of router where the number of ports could reach up to 24! And this is another video that graphically illustrates the differences between the Router and The Switch and the Hub “the old version of Switch”. The need for a Server varies depending on the size of the company and the nature of its work and the sensitivity of the data, and so it will be explained in several different ways how to own a Server for your company. Office computers or Laptops for employees to connect them to each other in order to establish a network. This point is very easy and we will not go through any further explanation. 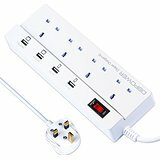 Similar to a common electrical extension but it contains an advanced electrical circuit to prevent the passage of any excess electricity to the devices connected to it, and it also serves to protect the devices connected to it as well when a problem occurs in the power supply due to lightning or during power outages, and are mainly used in foreign countries, and some of them contain USB ports for to charge various devices. 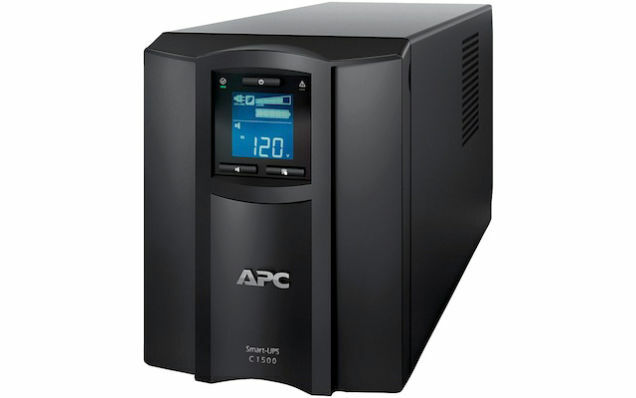 It is a electricity generator or battery for emergencies in the event of power outages, and is an essential tool to ensure business continuity and to protect data from being damaged in case of power outages or when a problem occurs in the electrical circuit of the company. Whether an air conditioner or a cooling fan to avoid any malfunctions in the devices as a result of working for a long periods. 1. You must buy a high quality tools due to the fact that the previously mentioned tools are the basis of your network and will be operating continuously. Also, it is not necessary to buy all the previous tools. Some of them may not be suitable for a small company’s budget or needs that do not require some of them, and for example, you can ignore buying a Patch Panel in case your network is small in size.2. Make sure that all of the tools are compatible with each other, and as an example if you purchase a Cat-5e category cables, then you have to make sure that all the devices are compatible with Cat-5e cables so that the network performance will not be affected.3. In case you have to buy a Router, then select the type which has the latest Wireless protocol “N or 802.11n” which is the fastest type available up to date and is compatible with all other devices “old and new”.4. 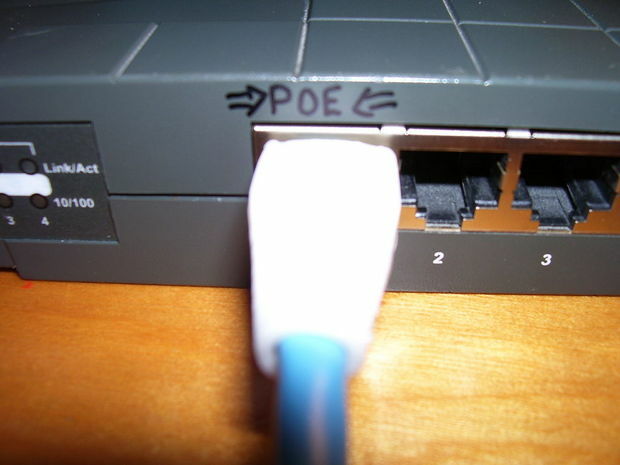 To reduce the amount of wires and to rationalize energy consumption, you should buy a Switch and a Router that supports the Power over Ethernet “POE” feature and by that you will get rid of the trouble of connecting electricity to them. 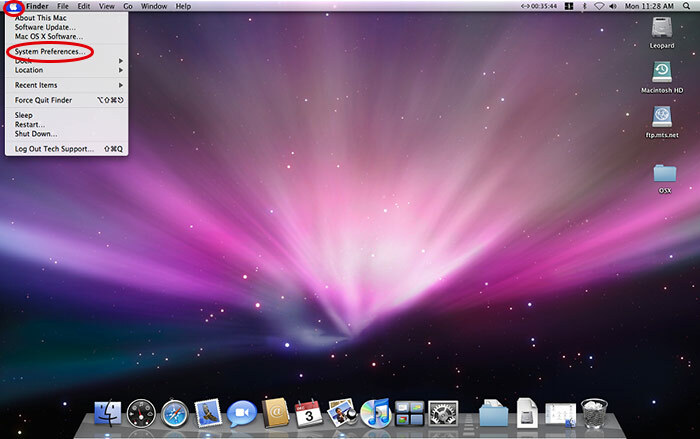 Microsoft Windows for example because it’s the most used OS among Arab world, also MAC and Linux. All of them have the necessary tools to manage the network efficiently.In case of using the company’s server, you’ll find it easier and more organized through the available tools in Windows server or Linux distribution. Setting up the cabinet used to combine the cables and to contain the devices as explained in the following videos: Conclusion lies in choosing the right place for the cabinet, and it’s so easy in case there was a cabinet for the server since the network devices will be put beside it, and in case there wasn’t any cabinet in the company, you’ll have to buy one with the appropriate size depending on the size of the network and the number of devices connected to the network and it have to be suitable for the location where it should be placed and to be able to easily organize the wires too. You should also be aware of the necessity of buying a cabin with good ventilation either by a fan inside it, or cooling the room where it’s placed, because its performance will be significantly affected if the heat resulting from network devices passed beyond the limits. It shall be noted that some of the following steps will not be clear enough unless you read the section at the bottom describing the ways to install the wires, so don’t get distracted :), the idea is to only mention the steps tidily.1. 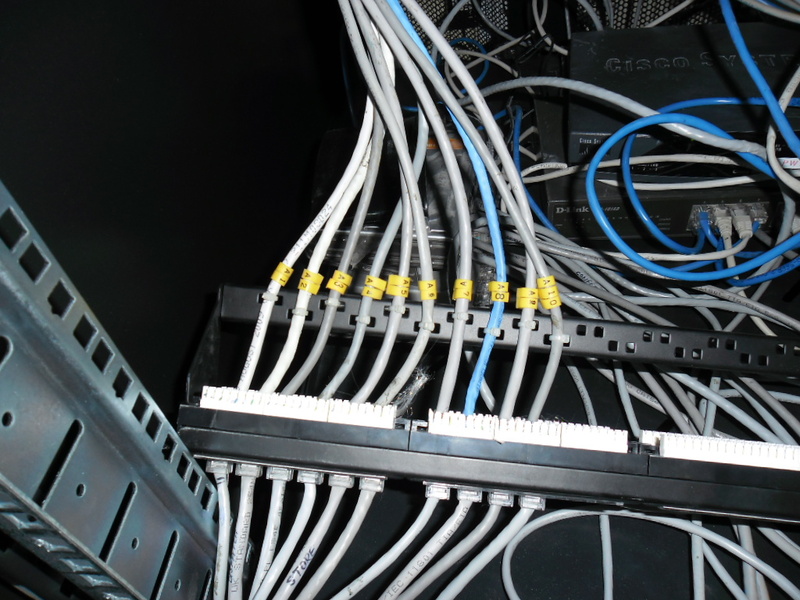 First, the place for assembling wires must be determined, that is the main source or the room where the cabinet is located inside and is called “Rack”.2. After determining the place that will be used for assembling the wires, you have to install the wires individually, starting by the furthest point in the office and then what follows until reaching the nearest point to the cabinet. you can do this by using the different methods described below.3. 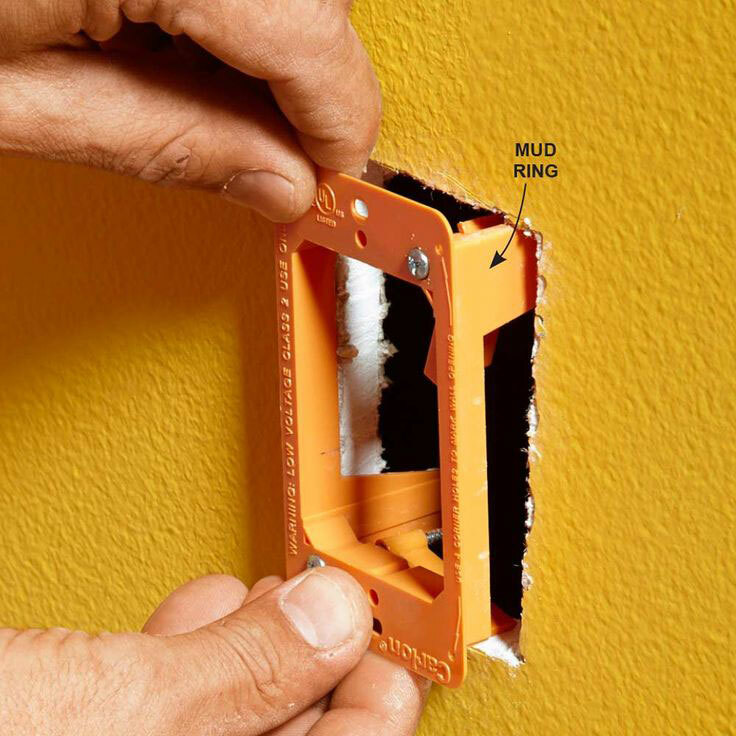 After reaching the destination desired, a small part of the wire is taken out of the wall or the box in order to provide enough space to be able to install it into the socket, after that, cut the other end of the wire which is located in the cabinet room beside the Patch Panel as a preparation to staple it to the board by a Punsh down tool, as shown in the video or in the section Drywall.4. After stapling, the wires are connected to the board by a plastic clasp in order to ensure its stability in case of tightening the wires under any circumstances.And the following video explains the previous steps: Note: when stapling the wires, make sure you put it in a casual way according to the colors displayed on the board, and follow the criterion B as we will explain shortly, where the both ends of wire should be similar in terms of wires order, while leaving the largest possible coiled part of the wire in the inner side and spreading a small part only to put in the port as shown in the following picture, and that’s to create a protection field around each pair of wires against the external magnetic waves. There are only 5 ways and not more to distribute the network wires through the office, and the following video shows a lot of information about this process. It is the best solution as it’s done by installing all necessary wires for the office including electricity and air conditioners’ wires and anything similar through the ceiling so that the final shape become like the following. 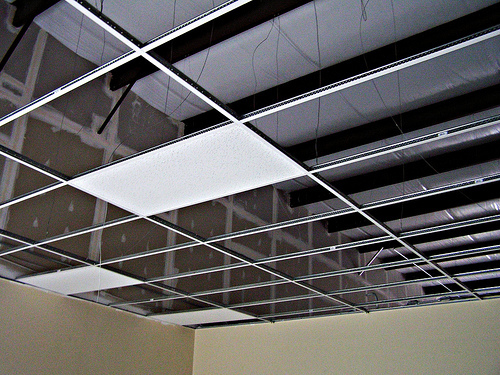 As you can see, the squares shown in the picture are removable and movable by lifting it up, and thus, you will have a full control of the room ceiling as well as a very good lighting for the whole place. 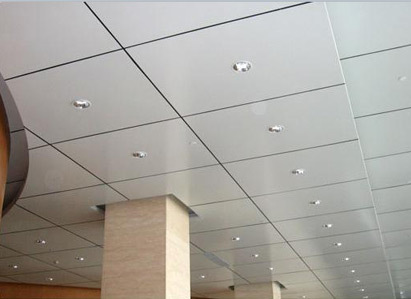 The same idea of the previous drop ceiling, where an empty walls from the inside are being created and are supported by steel or wood. 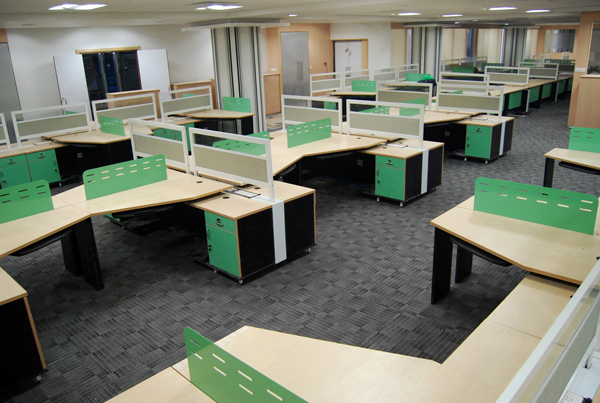 For offices, it is better to use steel. And in order to install wires though it, the cable is passed through the ceiling down through the hollow wall. 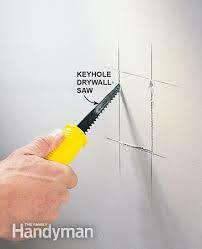 The part of the wall for the socket “Wall Plate” is determined by a pencil as a preparation to cut that part, as follows: After that, a sharp tool is used to cut the determined part of the wall, and the best thing is buying a specific machine for that, as shown in the following picture. 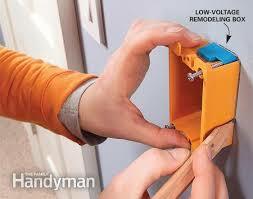 The next step is installing the electrical socket “Wall Plate” in its specified place at the company’s office. 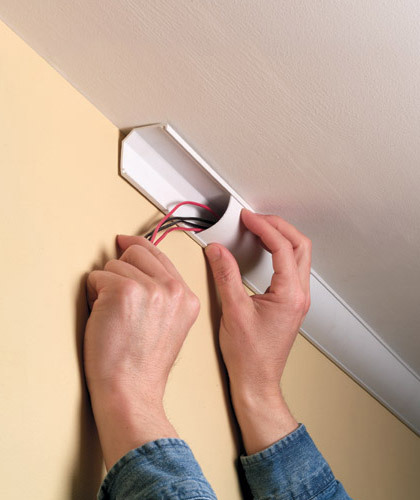 The final step is installing the cable through the drop ceiling down through the wall to reach the socket box, and connecting the wire’s end to the socket, and in order to do that you need to buy:A tool called punch-down “stapler” and it’s available in different qualities “buy the highest quality if you will be using it frequently”, and the benefit of that tool is to place the wires “push it” in the right place inside the network socket “cable port” of the wall, and also to place the other side to the patch panel. This will be clarified shortly. 3. as you can see, there are specific colors on the side of the first small piece “Nod” carrying the standard B and the second one carrying the standard A, and it’s better to follow the standard B due to the reason explained in the next step. The wires are put as shown in the picture, and then it’s stapled in its place through a Punsh down tool as follows, and putting the tool on the wire and the port, then pressing it so that the stapling is done and the additional parts are cut.4. And finally connect the small piece to the face plate “the outer face” of the box, and attach it with the box by nails. 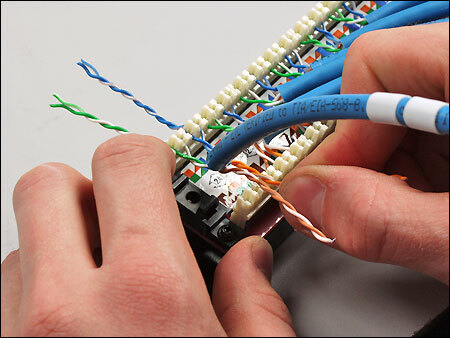 The next step is about connecting different devices to the network, as this step is not executed during installation of wall sockets and patch panel, but you will need to buy another tool in order to do the required job:The tool you need is crimping/cutting/stripping tool, and it’s used to strip the cable’s jacket of the wires in order to reveal the 8 inner wires, as well as the most important job which is pushing the wires into RJ-45 jack as shown in the picture. Now let’s move to the practical steps:1. Cut the external part of the wire (the blue part only) that comes out from the box in the wall by a 1.5cm using the section in the middle of the cable piston tool or by using electric sharp scissor and be careful not to scratch the internal thin wires.2. Next, you have to make sure that the wires are all of the same length as a preparation to connect them to the RJ-45 jack, then grab it first from the visible part from the bottom and then push it carefully from the top (the wires ends) to spread the wires to avoid any wriggles in the them that could make it harder to connect them to the RJ-45 jack.3. Then you’ll find some wires with two colors on them and some of wires with only one color, just arrange the 8 wires according to the following order from left to right:white/orange > solid orange > white/green > solid blue > white/blue > solid green > white/brown > solid brown.Note that the wiring scheme above reflects the popular 568B wiring standard, which is recommended. 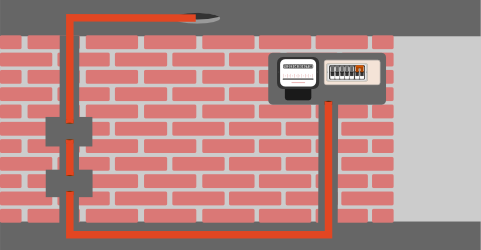 You can also use the less popular 568A wiring standard that have different wiring scheme. There’s no difference in terms of performance between these two wiring standards. “do you remember what we have referred to when we talked about stapling the wires and the patch panel?”4. 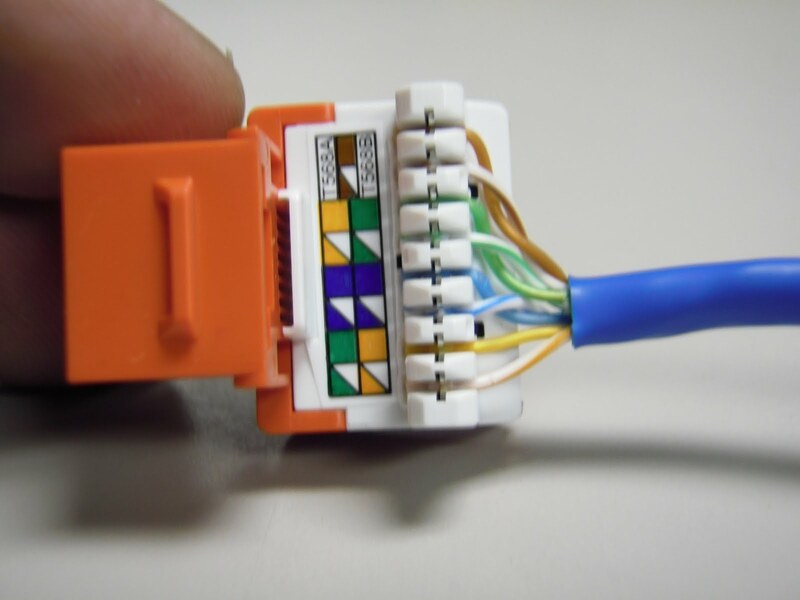 With these wires pulled out straight and close together in the order above, insert them into an RJ-45 jack, and make sure that each wire of the 8 wires is in the right place “facing the copper piece in the jack”, and also make sure that a small part of the external blue wire is inserted inside the jack.5. Insert the plug (with the wires now inside) into the crimp slot of the tool and crimp it.6. 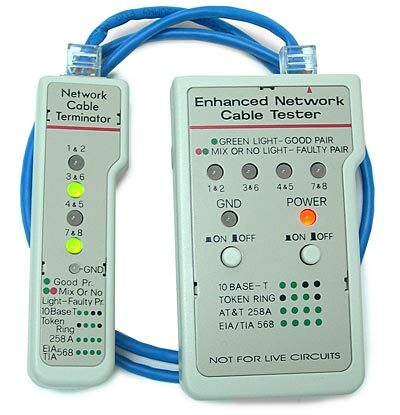 And to make sure the cable works, it has to be tested using a tool called Tester and it’s available in different forms. Both ends of the cable should be connected to this tool and then you have to press the power button to check whether the 8 wires are working efficiently inside the jack: 7. Finally connect the cable to the socket in the wall after we made sure everything is working correctly.And now we are done, and all steps are clarified with the previous images above and the video below. You can repeat these steps with the rest of the cables. Now, we still have to install the patch panel, the router and the switch. 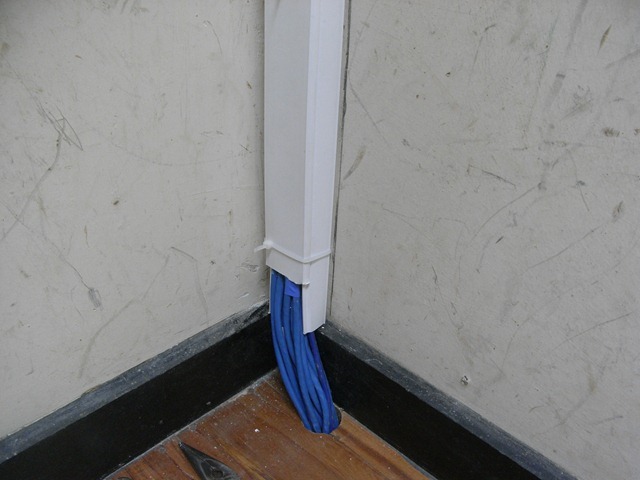 This is the third Method, and it’s following the same steps of the previous method Drywall, but this is done outside the wall by using plastic pipes as follows:Pass the wire at first from the patch panel to the box in the wall through a plastic pipe that collects wires and spreads a small plastic pipes down to the wall. The remaining steps are the same. The steps are simple, right? However, this method is not favorable for the medium-sized offices because of the large number of pipes! And it’s suitable only for the limited budget and small offices, which is what lead some people to use the following method as an alternative. 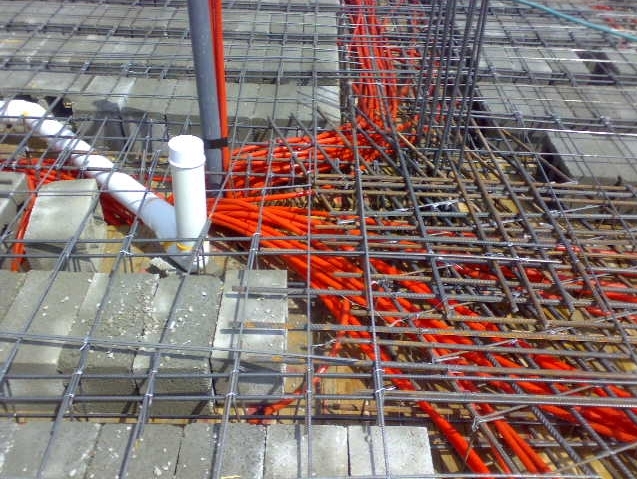 It’s the same idea of the previous method, but it’s customized only for the offices under construction where you can tell the electrical engineer that you want to connect the wires inside the wall, but be careful of installing network cables in the same pipe that contains electrical wire because of the waves coming from it which will affect the work of the network. In another meaning, use a separate pipe for the Internet cables. Also, the Face Plate box will be installed during construction. Completely similar to the drop ceiling method. 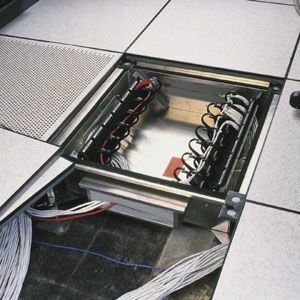 The office floor is lifted by a pillars of steel, and the electrical and Internet wires is connected through it and beneath the offices of the employees and it’s also an excellent idea to save some space. And the same previous steps for stapling the wires are followed here. 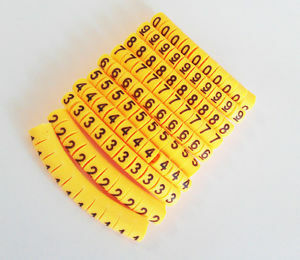 Note: There are a small plastic pieces called Labels and it’s used for numbering the network wires, so you can buy it if it was available for you. but from the wall end of the cable, it’s preferred to write on the external cover of the box instead of numbering the cable itself so that you don’t have to open the box just to see the number. There are wires that goes in and out of the switch. and it’s connected to the Patch Panel. So how can you organize it?The same method used before, but with the addition of the letter S as a symbol for the switch on the poster before the number, for example S1 for both sides of the switch with the same network’s color.Thus, all the parts of port number 1 will be connected with each other, making it much easier to change the cables and to perform the required maintenance. Blank: This means leave the field empty. 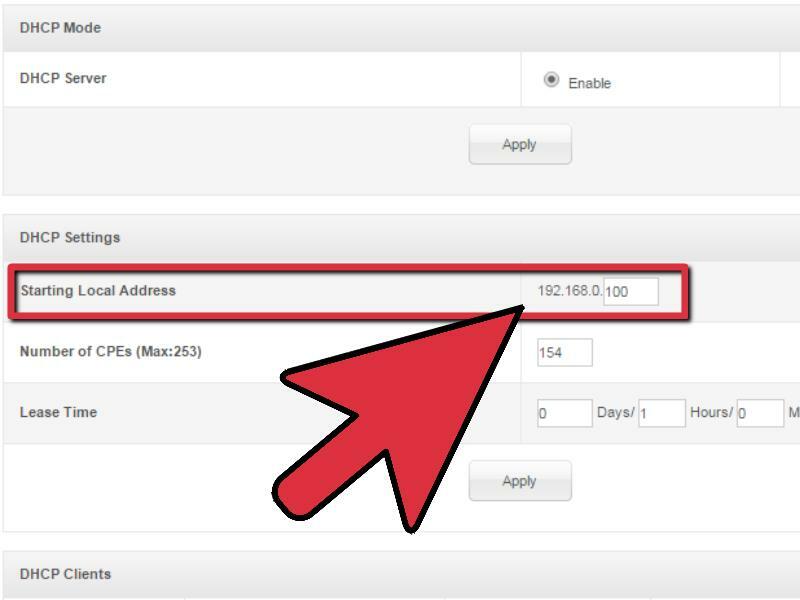 As you can see, you can choose to start the IP addresses from the number 100, and the benefit lies in leaving 98 numbers in the beginning for another network, and that’s to avoid any interference between the addresses, but there’s no need to specify the addresses in a single network. 1. 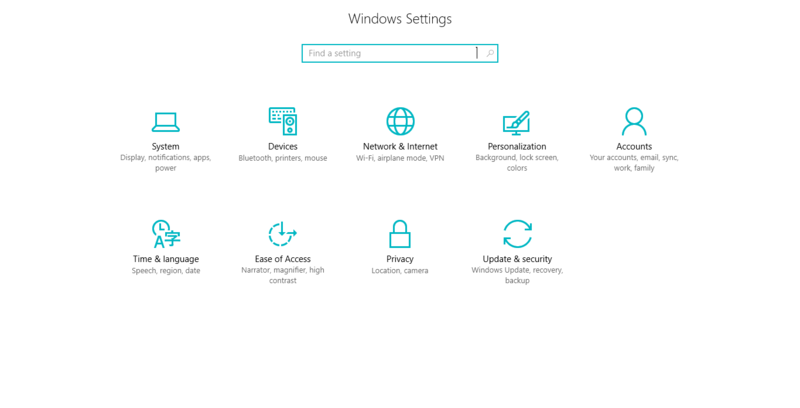 Go to Windows settings through Start Menu and then choose Network & internet then click on HomeGroup 2. After clicking, a pop-up window will appear in front of you that has the option Create in the bottom, so press it 3. Another pop-up window will appear, press Next to continue4. 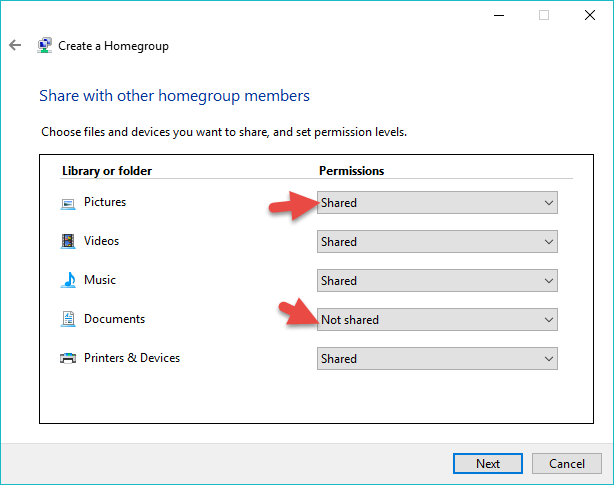 The next step is very important, you will choose the files and folders you want to share with the group as shown in the following picture, then press Next And as you can see, in case of choosing Not shared, the folder or the device connected to the main computer such as a printer will not be shared. Please take a Look at the section below explaining how to share a printer.5. After that, the network is created. And then, a random password will be generated, and it should be saved so you can change it later, or you can keep it at provide it to the other computers to connect them to the network6. Finally, click on Finish and by that we are done. 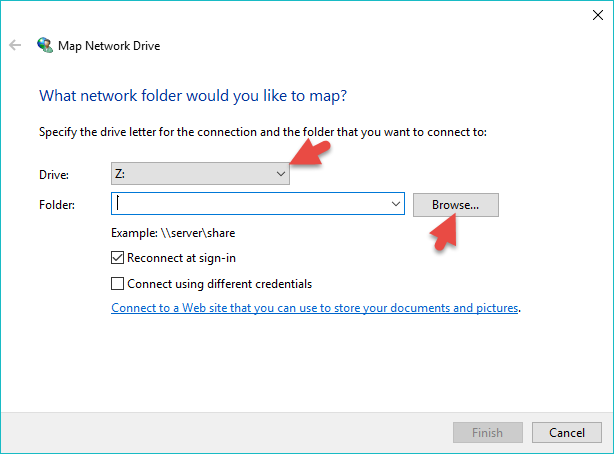 The following steps, explains how to connect other computers to the network that we have created:1. Go to HomeGroup with the same previous steps, and after clicking on it, a search for any network will be executed, and then you’ll find the network that we have created, click on Join to log in2. It will now ask you for the Password, so insert it3. Click on FinishNow, repeat the same thing with the rest of the computers located in the office. 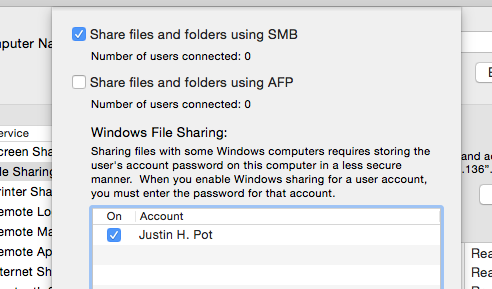 Simply make sure to activate the following option in the settings of sharing files on your Mac by clicking on the “Options” button from the window “Sharing” which we have explained before, and make sure to activate the “SMB” option as follows: And then, you should go to a computer running on Windows and search for devices connected to the network by opening the window “Networking” As we explained before, and you’ll find that the Mac computer has appeared, and in case it did not appear, then type \\ in the address bar in the window “Networking” followed by the name of the Mac computer as follows \\Jpot. 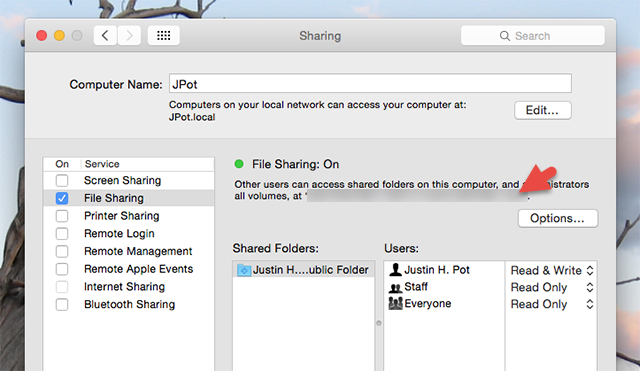 And when sharing files from Windows to Mac, make sure also that you are sharing the computer with everyone, and not with specific people, and when you go to the window “Network” in Mac, you will find that the Windows computer has appeared, and all you need to do then is just connecting to it and typing the user name and password. Internal network connected to a NAS central storage unit. 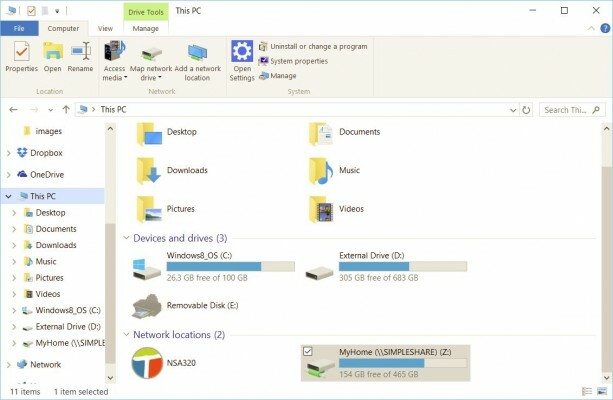 How to set up and manage a Network Attached Storage (NAS)? Instead of reading line by line, in the following video you will find a practical and interesting explanation. 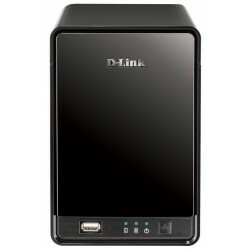 There is a less expensive option, which is the conversion of an old computer you have and providing it with a sufficient random memory not less than 16 GB, and then provide it with a high capacity storage units and connect it to the network, as we explained, and also connect the printer to it as we will explain later, and you must have a backup battery for emergencies, and you also need to regularly save back up copies of the information.And I do not advise you use this method except in low-budget situations. 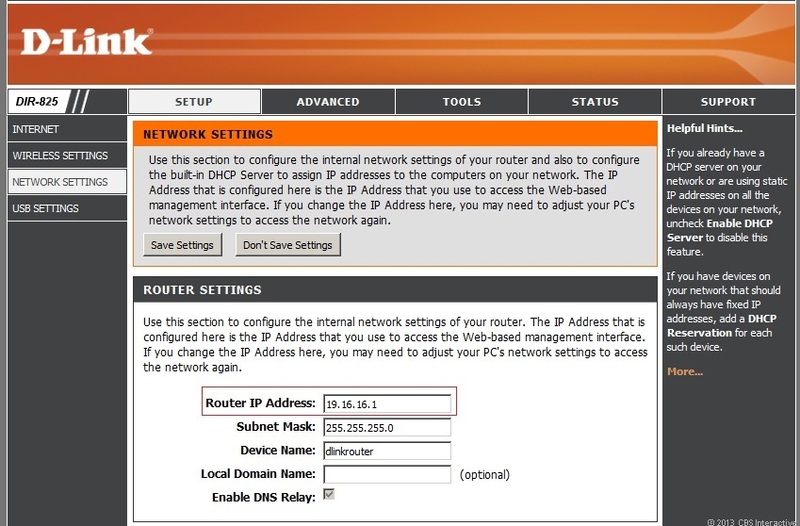 In the previous steps, the management of connections was a task for the router, which will no longer be in the case of a large number of computers and clients on the network, which requires the presence of a central server to take over that task, and we already mentioned the benefits of buying a server.The idea lies in the existence of the DHCP feature in Windows Server or other systems, which is completely identical to the DHCP feature in the router, but in a more professional and flexible way, since you can create a DHCP server to automatically set specific network settings, and there is also the so-called “ip scope” which you can use to set a particular range of IP addresses, let us say from 1 to 10, to the DHCP server No. 1, and from 11 to 20 for the second network and so on, thus providing greater control on the network.The previous feature is also present in the router, but the possibility of establishing more than one DHCP server is not available. The steps are described in the following video in a simple way all you have to do is to perform the same steps accurately. This explanation is for Windows server 2012 r2 in particular. If you have multiple servers or a fake network inside the server, you can create more than one DHCP servers by specifying the desired server.1. After the creation of the DHCP server, the system will be fully restarted.2. With regard to determining the IP Scope, you must first know the iP of the server and you can do so by entering the command “ipconfig” at the command prompt “CMD” and then press Enter to find the field as shown in the picture and besides it you will find the IP address: In this case, we will define the scope away from the number shown, i.e. 192.168.1.3 will be written in the first field and the scope you want in the second field and let it be for example 192.168.50, and you should also know that the server addresses will be different, for example 10.0.2.0 or something like that.You should leave the Subnet mask address as it is.3. 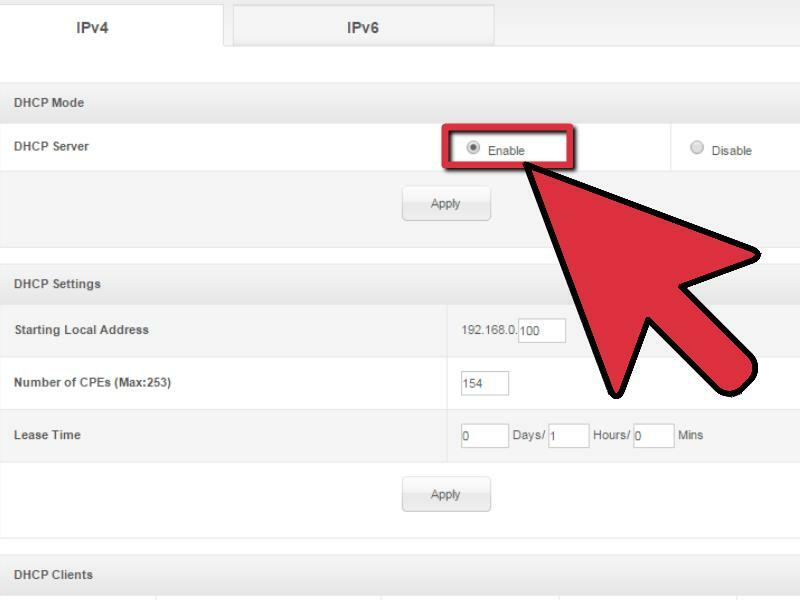 The next step is optional, in which he asks you if you want to exclude some of the IP addresses from the scope, and let it be the first 10 addresses in the specified range for example; that step is useful in case there are some devices with a fixed address in the network4. The next step is to select the expiry date of each IP address on the network. After the expiry of that period, you must reconnect to the network to get a new address. These periods are best left as they are “8 days”5. Now we finished, and the only thing left is defining some of the other settings, by right-clicking on the “Scope options” folder and then choosing “Configure options” and from there, we will click on “DNS Server” and then we will insert the main network IP “the beginning of the range” and is in our case 10.0.0.2 and may vary, of course, and we will wait for some time6. After that, we click on “DNS Domain Name” from the same menu, and there, we will insert the name of the network domain and let be for example “Dealna.Local” or any other preferred name, and be sure to include the dot.7. Finally, we will choose “Router” from the same menu above and there we will insert the IP of the main server and not the network and is in this case 10.0.0.18. 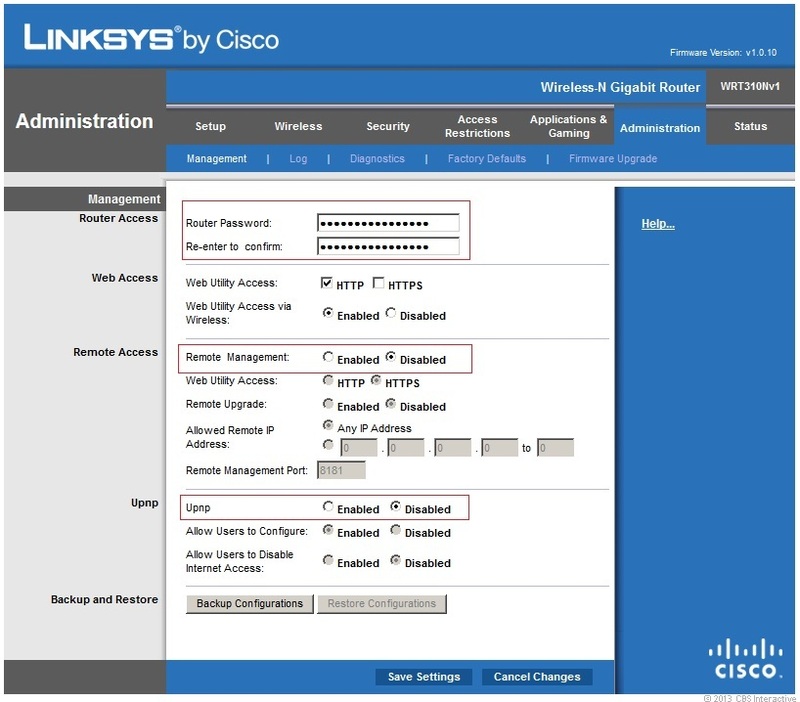 After completing the previous steps, the only thing left is to activate the “Scope” by right-clicking on the folder, and then ActivateAnd you can now see the results by connecting to the server from a computer in the office and opening the command prompt and typing “ipconfig/all” and you’ll find that all the addresses that we have written are correct, including the range of 1 to 10 which we excluded. 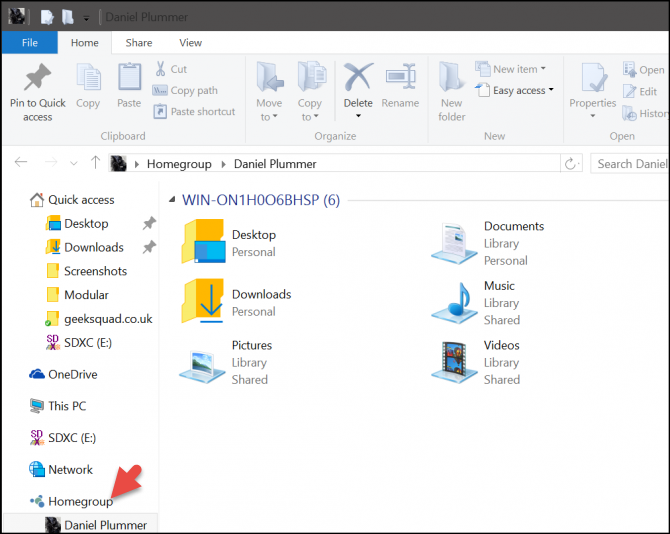 Do you wonder about sharing files and connecting computers through a server? Through the available storage units on the server and defining the permissions assigned space for each user. It is not the time yet to abandon the use papers and printers in the offices, which require the provision of a printer to finish several tasks requiring printing papers. Now, let us go straight to the point. Which is better, the laser printer or the usual ink printer? In short, ink printers are no longer good for small and medium sized businesses, due to the fact that the laser printers are much more better in a lot of aspects and the cost of the two types has become close. The ink printers are better in printing colored prints such as images, and the laser printers are better in printing texts, but in the recent period, the quality of the color prints became close, too.In other words, laser printers will save you a lot and will perform in a better and faster way. Work offices needs a ” paper printer, images, scanner, fax, printing remotely through Wireless, cloud storage, …”, and you seem to have reached a decision, so let’s go and buy an all-in-one printer! But you should know that the fax Available in the printer does not have all the features of a stand-alone fax machine.It is worth mentioning that it is not required to obtain all of the previous features, since there are printers containing two or three of them, and so on. Buy a printer that has a feature of sending documents or printed photos to the Shared Folder between all devices or to e-mail it directly, and thus you will not be worried about installing any software on the computers or phones. If you intend to use smart phones in the printing process, then do buy a printer that supports cloud printing platforms such as “Apple AirPrint and Google Cloud Print“. This feature is called “HP ePrint” in HP printers and “Epson Connect” in Espon printers. Here are some other tips related to the important factors that must be considered when buying a printer. 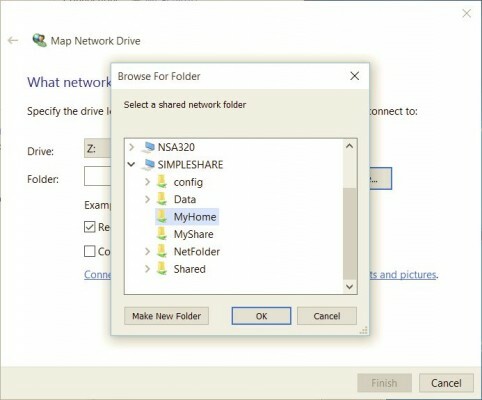 This section was separated and written in another article in order to avoid having a very long article and to have the room to go into the details, too, where you will find in that article the detailed steps and the different ways of sharing a printer on a network in both Windows and Mac operating systems. The answer depends on your needs. Some may use e-mail to manage the communications or some other applications specific for this job, but it depends on the existence of a VoIP service provider in your country and we have mentioned previously the best providers of VoIP services and the benefits of using these services, and what distinguishes it from conventional phones in addition to various reviews of VoIP phones and articles as well. What to choose for your small business: NAS (Network-attached storage) or Server? The differences between Network-Attached Storage (NAS) and server and which one is suitable for your small business depends on capabilities you need. Best Online NAS backup providers to add an additional layer of security to your data by uploading data directly from your NAS or PC.